There is a cemetery on Chamberlain Street; Smithfield Historical Cemetery #84. Heartless acts of vandalism have taken their toll in recent years, and most of the stones are now toppled or missing; but amidst the senseless destruction, a portion of a headstone has survived that bears an inscription which hints at a long forgotten and tragic love story. Crawford Allen Smith was born in 1864, the only son of George and Sarah Smith, who owned and operated a successful farm in what was once Enfield, but is today known as Esmond. The farm next door was owned by Ephraim and Mary Sweet, who had a daughter Lucy Anna, born in 1868, who preferred to be called by her middle name. 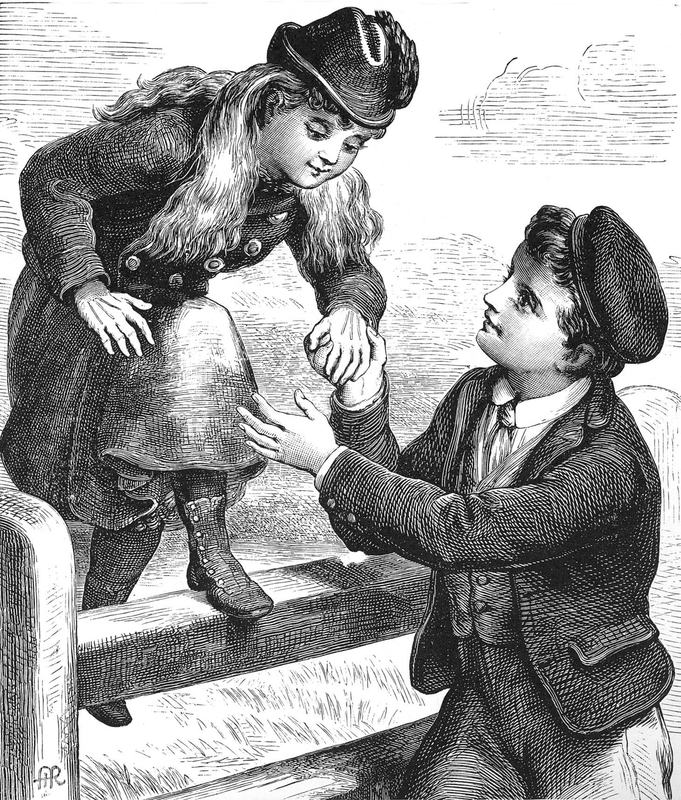 Crawford and Anna met as children. He being four years older, probably looked upon her as a little sister, at least at first. As children, they no doubt shared many summer adventures together while exploring what was then rural countryside, and when school was in session, it is assumed that Crawford dutifully carried her books. Anna had pretty blonde hair, startling blue eyes, and a charming smile, and as she grew into a young woman, Crawford began to take notice of her in a different way. She noticed him also, for hard work on his father’s farm had left him lean and muscular. By the time she was 17 he began courting her, and to some around Smithfield, it seemed inevitable that they would one day marry. Every summer the Sweets would plan trips to the Rhode Island shoreline to swim, picnic, and escape the heat. Before the days of automobiles and paved roads, travel to Narragansett Bay from Smithfield was quite an ordeal, but the time spent at the beach was worth it, and something to look forward to in spring, and remember fondly during the winter. On the morning of August 10, 1885, The Sweets left for the beach in their horse drawn wagon. Crawford and the Sweet’s 15 year-old farm hand, Richard Manders, had been invited to come along. They arrived at Still House Cove in Cranston’s Pawtuxet Village around 11 a.m. The horses were unhitched and allowed to graze while Anna and her mother set about preparing a picnic lunch. Meanwhile the men waded into the shallow water looking for clams to bake, but after an hour of digging they had but a few clams to show for their efforts, so Mrs. Sweet made a fire and cooked chowder instead. After eating a sumptuous meal, Mr. and Mrs. Sweet went to rest in the shade and enjoy the water view, while the youths opted to go swimming. Crawford and Richard donned overalls, while Anna dressed in a modest bathing dress, complete with straw hat, and slippers. It was now about 4 p.m., and the tide which had been going outward for the last few hours was about to turn and start coming in. Since the water was at its lowest level, the trio was able to wade over three hundred feet out from shore. Yet even at that distance, the depth of the water was only about three feet deep. Crawford and Anna held hands between bouts of playful splashing while the summer sun warmed their faces and the cool waters rushed past their feet. They frolicked as two young people in love would be prone to do, laughing and gazing at each other in silent acknowledgement, each knowing the other felt the same. For the two young people in love it was a glorious and golden day. All the while, Richard Manders was keeping a respectful distance, but noticed the fact that the water was steadily getting deeper. He was much shorter than his companions, and therefore noticed it before they did. They gradually waded farther from shore, and before long the water was up to his neck forcing him to go no further, but his companions seemed not to notice even when it was up to their torsos. Meanwhile, Anna’s parents watching from shore grew increasingly uneasy. They knew Crawford to be a strong and capable swimmer, but Anna was still recovering from a bout of ill health, and they feared she might not have the strength to make her way back. As they looked on, a sailboat happened to pass near to the couple, and from their vantage point it appeared that Crawford and Anna had raised their arms to wave to those aboard. However, Richard later recalled what happened next. Crawford, who was a little farther out than Anna, suddenly raised his arms and slipped beneath the water. When he didn’t resurface right away, Anna became alarmed and went to his aid, followed by Richard. When Anna got to the spot where Crawford had disappeared, she suddenly found herself in trouble, and called out, “Save me Dickie, I’m exhausted!” Those were her last words before she slipped beneath the waves. Richard, who was encumbered by the weight of his overalls, could not reach her in time. The Sweets knew right away that something bad had happened even before Richard could make it back to shore. Help was sent for, but it was already too late. Crawford’s body was recovered shortly after midnight, but it took searchers two more days to find Anna. Those familiar with the area said there was an unexpected drop-off where the youths had gone under, and that, coupled with strong currents made it a dangerous place to swim. The Sweets were apparently unaware of this when they planned their trip. The couple was brought back to Smithfield for burial, but before interment, Ephraim Sweet spoke with George Smith. He tried to console his neighbor by telling him what a fine man Crawford was, and that the drowning was not his fault. “I can’t help thinking’, Sweet told Smith, ‘that this sad affliction was ordered by a higher power.” He essentially felt it had been preordained. Perhaps it was, for the two men decided that the young couple should be together in eternity as they had been in life, and buried them side by side in the same grave. A beautiful white marble obelisk was erected over the tomb. On one side was carved Anna’s name, on the other, Crawford’s. On a third side are the words”They were accidentally drowned while bathing”. What remains of the obelisk was pushed over by vandals, but to the immediate left of the grave is an old tree with a double trunk, its roots no doubt extending far and wide throughout the area. In a way, the couple is still enjoying the golden light of summer.